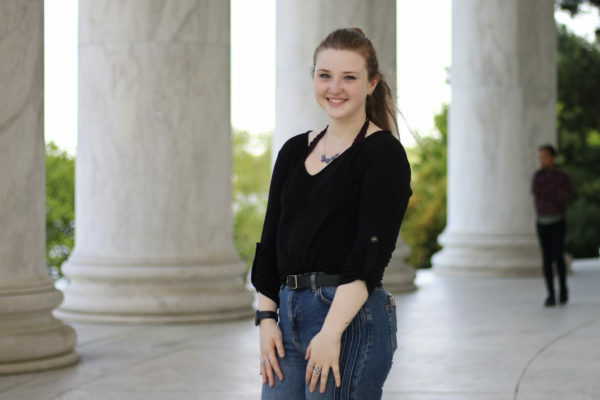 A GW professor has created a workbook to help teachers prepare students for Common Core standardized math tests, after finding that most textbooks on the market don’t fully prepare students to meet the national benchmarks. Graduate School of Education and Human Development professor Jaewha Choi has led a research project that he said would fill the gap many teachers encounter when trying to find books that are made for their students’ grade and cover Common Core requirements. The SmartWorkbook, a 40-page prototype for sixth-grade math, is part of an effort to publish more materials that are fully aligned with the standards that students are supposed to meet in 41 states and D.C. Choi and his team will release the workbook for free. The materials combine smartphone technology with practice problems. When taking a test in the book, students must use a smartphone to scan a code for each question. The code opens up a mobile web page where the student can input his or her answer and receive immediate feedback, including other practice problems. Choi said 12 million students are expected to take Common Core assessments by the end of the year, and his team wanted to create ready-to-use materials that could help teachers guide their students in the right direction as quickly as possible. The researchers, including Sunhee Kim with Howard Community College and Kyongil Yoon with Notre Dame of Maryland University, hope to earn support for their workbook from the federal government and teachers associations, including the National Council of Teachers of Mathematics. 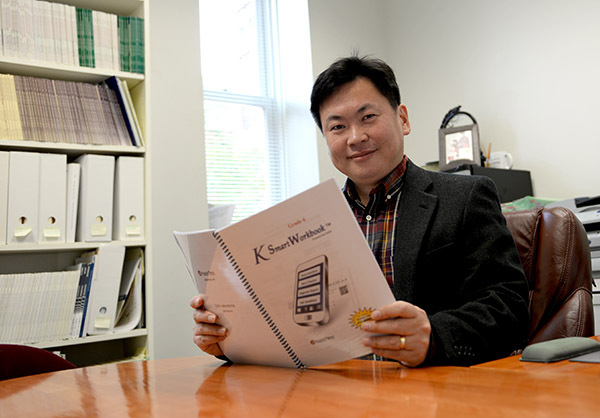 Professor Jaehwa Choi’s workbook requires students to scan codes with a smartphone to enter their answers and receive feedback. Choi and and his fellow researchers said they will release the workbook for free. Francis Fennell, an education professor at McDaniel College, said researchers like Choi are helping teachers who are having trouble finding materials that work effectively in their classes. And even though the Common Core was first detailed in 2010, experts say publishers haven’t been quick enough to provide updated textbooks, and they also have not been honest about whether materials follow the standards. Choi and his team plan to expand the SmartWorkbook project to cover third- through eighth-grade math by next year, and hope to produce versions that cover developmental math and other languages.